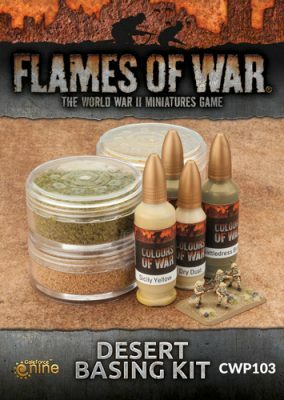 Gale Force Nine have introduced a Desert Basing Kit for your Flames of War Miniatures. Basing is an important part of the look of any Flames Of War force. A strong theme is the sort of that can really make your force standout from the rest. With the new Desert Basing Kit, Gale Force Nine made it easier for you to create your desert bases for 4th Edition and the return to the desert. Created with a unique collection of static grasses, basing grits and paint colours, the Desert Basing Kit provides everything you need to bring your desert-themed bases to life. 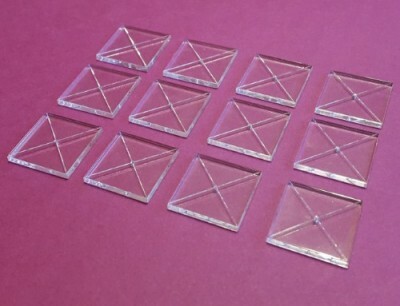 Colored Star Wars X-Wing pegs and bases available now! Customize your X-Wing squadron with colored X-Wing Bases and Pegs, available now from Fantasy Flight Games. Assault Publishing have added new laser-cut, transparent aircraft/spacecraft bases for small scale wargames (such like Hind Commander) to their on-line store. 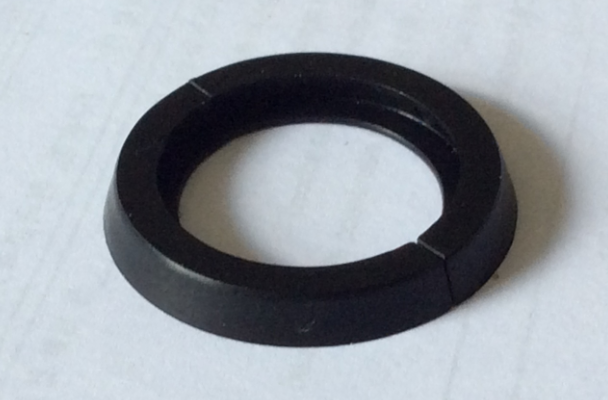 The bases have dimensions of 20mm*20mm, come with the tiny central hole (perfect for pin or tight wire and can be enlarged with small drill). They have also engraved 90 degree fire/visibility arcs. The based are packed in bags of 12 pcs. and the bag costs 2,5 EUR. Also some other old type Assault Publishing textured miniature bases returned to the offer. 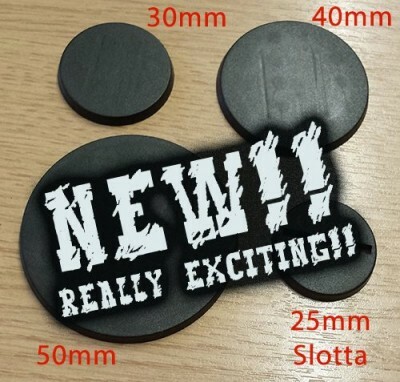 NEW – Plain Plastic Bases! Various Sizes! Great for err… sticking to the bottom of almost any miniature!! 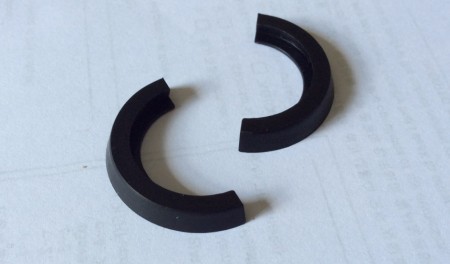 Way back in March, Tabletop Adapters released a kickstarter campaign for a unique 32 mm adapter. This adapter is now available for purchase. 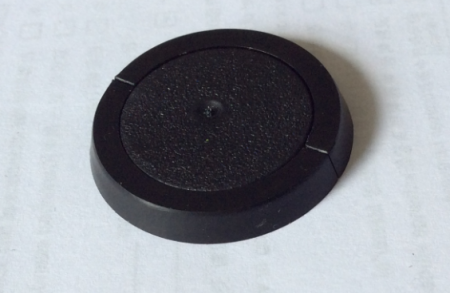 The adapter can be used to extend the base of a 25 mm miniature. It works by having a large surface buttom where the miniature can rest upon. It enables the base to be fit firmly, or to be temporarily fit with a sticky material. The adapter is easy to use and comes at a great price. The same kickstarter deals are available right now. 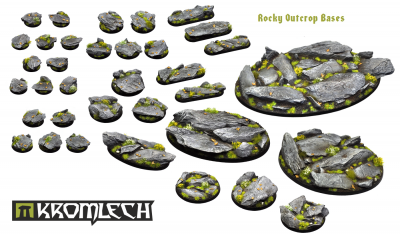 Kromlech have a new massive release of their very first resin base series: Rocky Outcrop. They have also recently added a lava painting guide which is perfect for these bases. Check out their home page for more information. 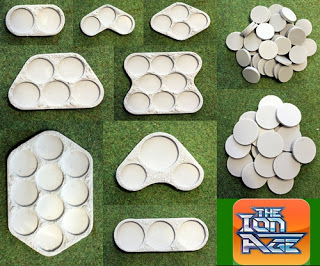 Now released for Patrol Angis and any other 15mm wargame system, The Ion Age’s full range of resin IAF077 Troop Element Trays and two sizes of round resin bases (IAF078,IAF079). Great products, excellent value and very useful too. 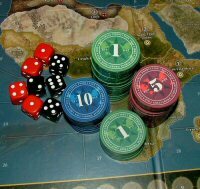 Mount your miniatures on the bases for skirmishing and then assemble your Fire-Teams and Squads into Troop Elements.